​Deep Well Farm is a beautiful piece of farmland sitting on 35 acres. 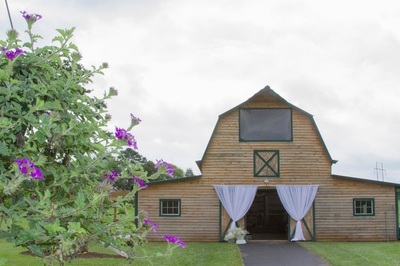 In 2014, we added a 2,900 square foot wedding barn to complete the perfect wedding setting. 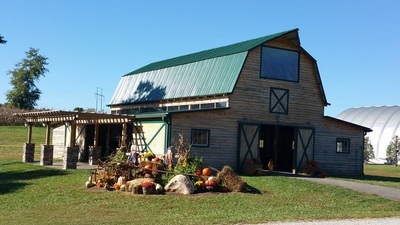 The barn comes equipped with chairs, tables, electricity, sound equipment, concrete flooring, restrooms, and white flowing curtains which hang gracefully outside the front sliding barn doors. The beautiful pergola with decorative lighting compliments the rustic style of the barn, while the nearby fire pit adds to the overall experience. The property boasts a beautiful outdoor ceremony area with a custom built wood arbor, perfect for those wanting their ceremony to sparkle in the sunlight. With our policy of only one wedding per weekend and designated wedding coordinator for each wedding, every bride will fell less stressed and more comfortable on their wedding day. As you can see, our wedding barn is a beautiful addition to the already scenic setting of Deep Well Farm. -Scroll to the bottom to request more information or set an appointment.